You know the way you write a big long blog post on the day you’re supposed to be packing to return home from the holidays and you know the way you lose the whole freaking blog post and can’t get back to it until almost a week later? I was trying to multi task and write a post bragging about how I had managed to nab a great conversation with a terrific female artist while at the same time try and pack for my entire family and it all went horribly wrong. Well, we got packed and we got home but life has taken over and here we are. But, yes, stay tuned over the coming weeks for some great podcasts starting with this Wednesday when Dr. Cara Augustenborg and I will be talking climate change, motherhood and spirituality on her Facebook page in a LIVE interview. Very exciting and a little bit nerve wracking too. The whole thing will be recorded and released as a podcast shortly afterwards especially for those of you who are not on Facebook. Also, just a heads up while we’re talking about Facebook, I’ve recently decided to merge my personal page and my Strut and Bellow page so that I’m not posting across different pages. So if you haven’t already, please like and follow me now at Melanie Clark Pullen – Strut and Bellow as I will shortly be deleting the original Strut and Bellow FB page. Also, don’t forget to follow me on Instagram. If you voted for me at the Littlewood Ireland Blog awards, thank you so much. The awards night is on the 15th of September and I’m looking forward to a fun night. I’m eager to meet some of the other entries and possibly get a few exciting female bloggers to come on the podcast. In the meantime, if you’re looking for something inspiring to listen to, may I recommend Rob Bell’s Robcast. I had the privilege of spending a day at one of his How to Be Here seminars in Belfast over the summer. It was a very energising and inspiring day. Check him out. See you Wednesday morning at 11:30 LIVE on Facebook. Until then, keep struttin’ and bellowin’. 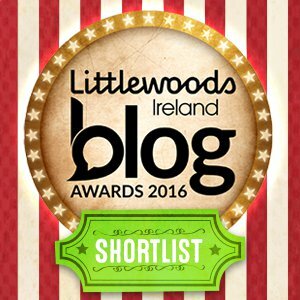 Delighted to announce that the blog/podcast has been shortlisted for the Littlewoods Ireland Blog Awards 2016. The public vote opens today and accounts for 20% of the overall mark. Polls close at midnight on the 23rd of August. Also by way of celebration, I’ll be on Facebook Live with Dr. Cara Augustenborg on her Facebook page at 11:30 am on the 31st of August. I’m going to record this live interview to launch the next round of conversations with women who make for the podcast. Cara is an environmental scientist and communication expert specializing in climate change impacts and solutions. Her own blog The Verdant Yank has also been shortlisted for the #LWIBloggies2016 and she’ll be sharing with me some of her passion for climate change activism and her developing love of blogging and writing. I’m excited about some of the interviewees I’ve got lined up for the autumn so stay tuned. 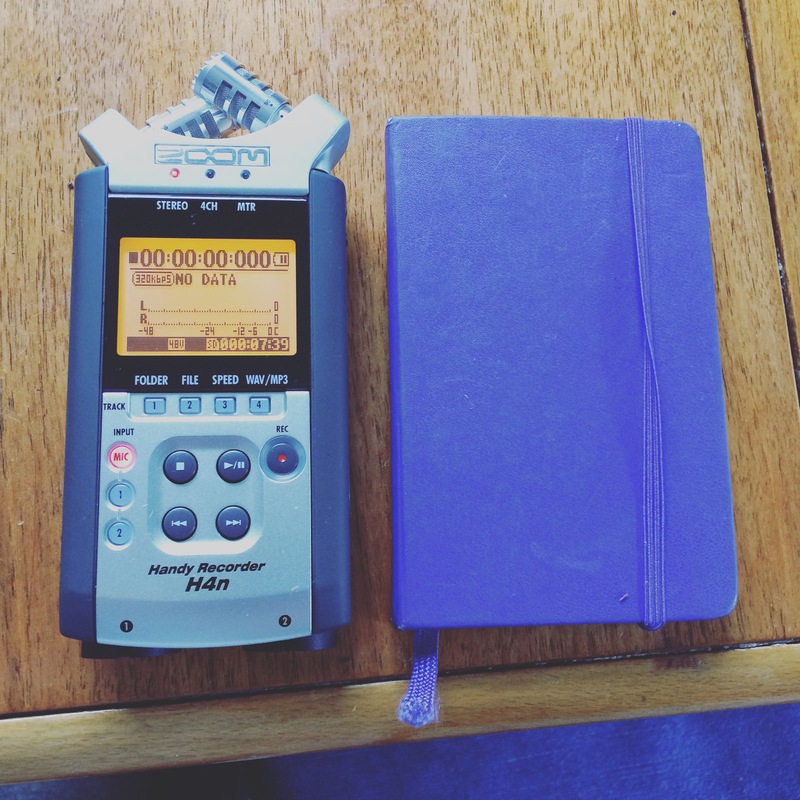 I have listened to some juicy, inspirational podcasts recently and thought I’d take little time to share them with you, seeing as this blog is supposed to be all about inspiration, right? First up, I’m so excited that Liz Gilbert has started up her Magic Lessons again. For those of you who don’t know her, Elizabeth Gilbert is the woman who wrote Eat, Pray, Love. For some of you that will make you go ‘no, thanks’ but bear with me. This woman is great. She knows about creativity, she’s a savvy business woman and she’s nothing if not a grafter. In short, she’s inspiring. Her book Big Magic deals with creativity and how accessible it is to everyone. But by far her greatest idea was to start a podcast talking to everyday people who were struggling with some aspect of their creativity and bringing in renowned experts in those various fields for advice and stories of their own experience. Her first season of conversations were terrific but she’s decided to go for a second season and already I’m looking forward to each new release. I prefer her second season because, last year each conversation issue was broken down into separate podcasts but this time round, she’s got the chat with the person who is having the problem, the conversation with the expert in their field and then a catch up with the original person all in the one podcast. How’s that for juice!? I love it. The other podcast I’m loving at the moment is The Beautiful Writers Podcast. It’s hosted by Danielle La Porte and Linda Siversten. I bought Danielle’s Desire Map earlier this summer and have found it really useful in helping me focus on where I’m at and where I want to get to. These two women are seriously well connected and have some awesome guests like Robert McKee, Steven Pressfield and the afore mentioned Liz Gilbert. I’ve been scrolling through their archives and learning a lot about this crazy writing life that I’m embarking on. Dive in and be encouraged and inspired. I’ll be back next week with some other great suggestions and an announcement about an exciting conversation I’ll be taking part in myself at the end of this month! In the meantime, keep strutting and bellowing! Despite all the hectic running around oganising and packing for a family of five, which I hate, I do love it when we get here and I begin to unwind. I posted a photo on my Instagram account of the stack of books I’ve taken with me that I hope to peruse since I’m switching off Social media for August. But I forgot to add this favourite that I return to again and again when I need a bit of soul comfort and inspiration as a woman. 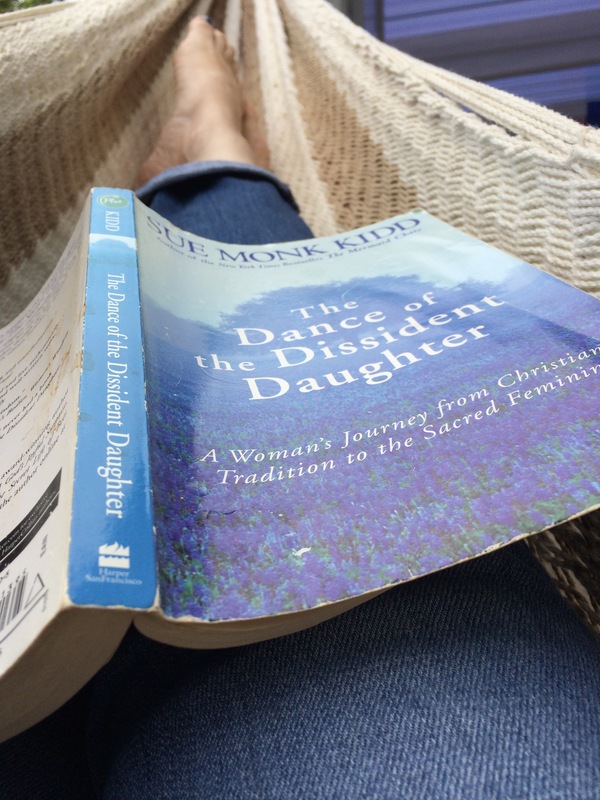 If there’s one book that I’d recommend any woman who wrestles with spirituality this is it. Sue Monk Kidd is a gorgeous writer. I love her novels The secret life of bees, The mermaid chair and The wings of invention. But this raw, personal memoir is goes right to the core of what it is to be a woman, especially within the Christian tradition. My own tradition is by no means perfect but I’m grateful that within Methodism there are highly visible women inspiring and leadIng. I am in training to be a fully accredited lay preacher and get to lead services locally as I study. My most recent talk at Dundrum Methodist Church was recorded and you can listen to it here. While I’ll be quiet on Facebook, Twitter and Instagram, I’ll blog a bit over the coming weeks and tell you a little about the exciting women I’ve got lined up to interview in the autumn. Til then, keep struttin and bellowin’!